After an absence of almost a year, we are pleased to report that the rains have finally returned to Kasigau, bringing much-needed relief to our schools and the wider community. But these remain challenging and uncertain times. Despite the arrival of the rains, food prices continue to soar in the face of on-going shortages and high demand. For staples that are grown domestically, such as beans and maize, we are paying between 45% and 55% more than a year ago. In an effort to manage costs and ensure we can continue to live within our very limited means, we have had to take the difficult decision to reduce the size of each meal. Although this will have an impact on the children, it does at least mean that we can continue to provide all 2,700+ pupils in our partner schools with a daily, term-time meal. These are permanent changes and we have not been able to rule out making further reductions on a temporary basis, but we hope that it will help us to navigate our way through this incredibly challenging period. If you would like to support our feeding programme and help us maintain this vital lifeline for the remainder of the year and beyond please click below to make a donation. With water tanks full and other supplies replenished, and water no longer being rationed to the extent it was a couple of months ago, our building programme is ramping up after a relatively quiet few months. 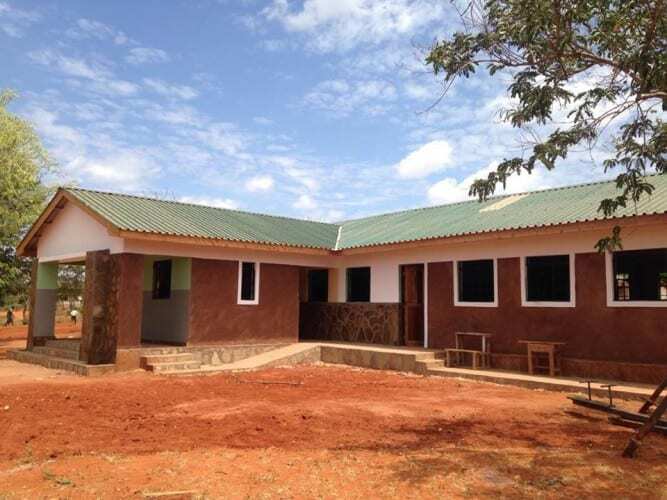 We are close to completing the second phase of our six-year £250,000 redevelopment at Kismenyi Primary School, with the final element – a multiple unit staff house – in its final stages. Elsewhere, we have begun a long overdue project to build a kitchen at Makwasinyi Primary of the sort that we have already built at all but one other of our partner schools. 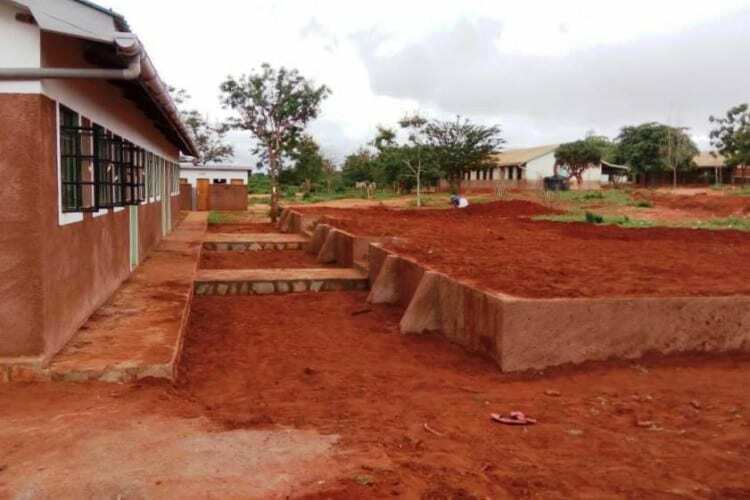 We have recently completed the upgrade and extension of the pre-school at Kiteghe Primary, including a new block of toilets, and we are now in the process of creating a new playground area. We have immediate plans to start the construction of four classrooms at various schools in order to accommodate increasing enrolments. Although construction work at Ngambenyi, our latest partner school, was finished some time ago, we continue to apply some finishing touches. 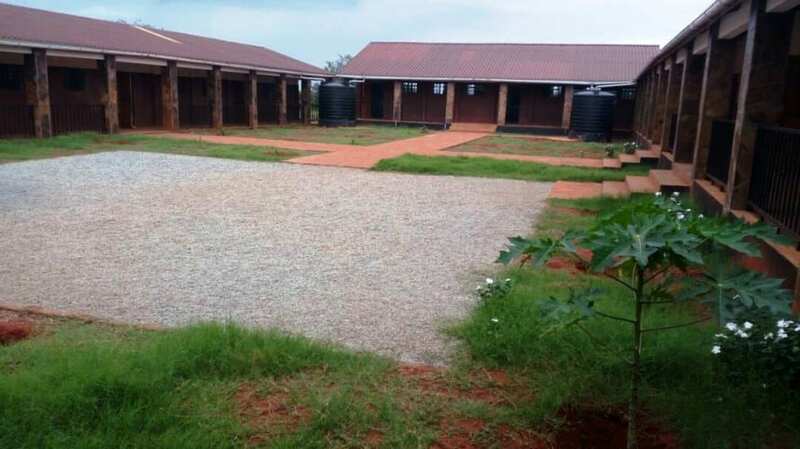 We have recently repaired and reinstated a solar system to provide lighting and power in a number of classrooms, whilst the school has taken advantage of the recent rains to accelerate their tree planting and beautification programme, which is already transforming the appearance of the school environment. Once complete, the new kitchen at Makwasinyi will help improve delivery of the lunch programme. 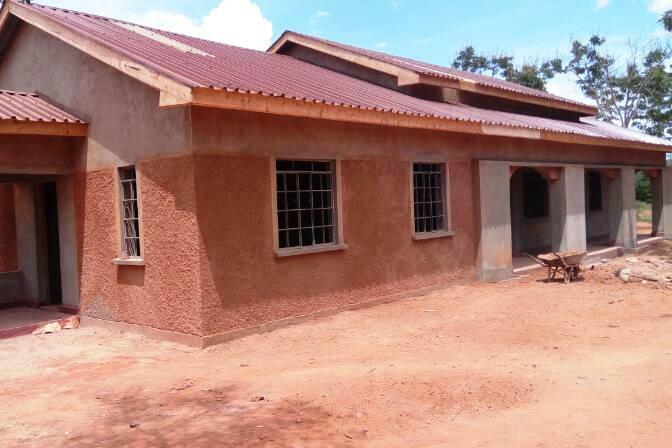 This staff house at Kisimenyi will soon provide high-quality accommodation for at least 5 teachers. Once a dustbowl, the assembly ground at Ngambenyi is fast becoming a beautiful garden. The extended and upgraded nursery school at Kiteghe is now complete. 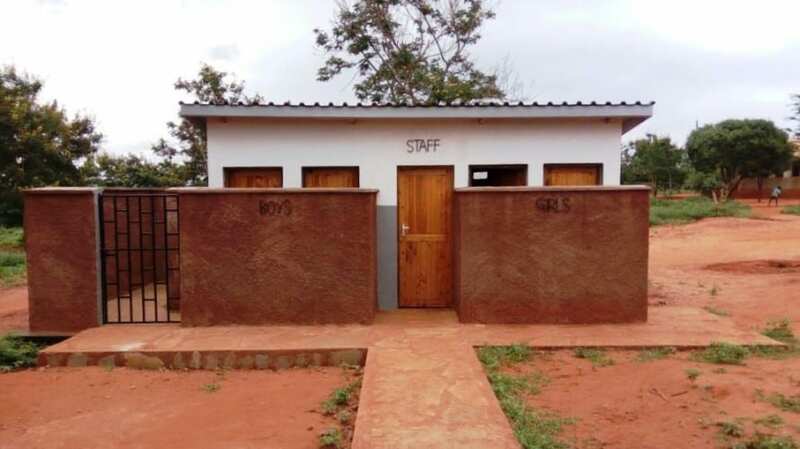 And there is much-improved sanitation facilities for the nursery staff and pupils. A new playground area is taking shape at Kiteghe too. In February we began funding two teaching posts at the one partner school where we had yet to provide this type of support, taking to 16 the total number of teaching positions that we now finance across all our seven partner schools. This is equivalent to two schools worth of extra teachers, where government-employed teachers rarely number more than 7 or 8, whatever the size of the school. For regular updates and news from our partner schools please ‘like’ our Facebook page using the link below.